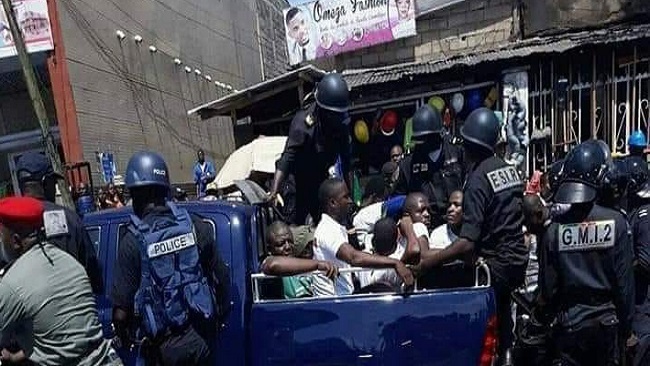 “They were freed,” said a member of Maurice Kamto’s party, Movement for the Rebirth of Cameroon (MRC) in reference to those arrested Saturday during an unauthorised march called to protest the results of a presidential election on October 7. One of those arrested on Saturday was taken to hospital after he “fell from a police vehicle”, a relative said. “Several peaceful supporters arrested on the plaza of the Notre Dame of Yaoundé cathedral this morning,” he wrote on social media. Opposition figure Michele Ndoki was among those detained the day before. She is one of Kamto’s lawyers who protested before the Constitutional Council against “massive and systematic fraud” during the election. On Friday, minister Paul Atanga Nji warned that “any attempts to disturb the public order will be met with the greatest firmness. “With the proclamation of the results, the process has ended,” Nji said, before adding that “public demonstrations must now take place in conditions set by law”. Protest permit requests are often rejected, however.